Each session is custom designed around your needs. Instead of handing over a CD of images that often goes into a drawer to be lost or broken, CWP helps you pick out your images for printing. You can email us a portrait of your wall and we'll be able to digitally add your images to the wall, to size, to help you pick out the right size and portrait to fit your needs. Portrait packages start at $299 and include your choice of $100 in wall art. Belly sessions start at $299 and include your choice of $100 in wall art. 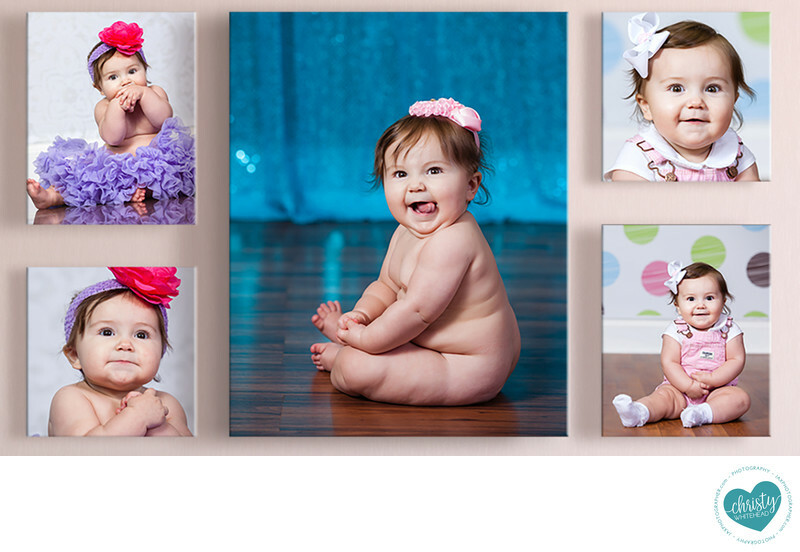 Newborns and cake smashes are $349 and include $100 in your choice of wall art. Watch Me Grow Plans start at $899 and include wall art with each session. Watch Me Grow babies also get a free portrait session every year during their birthday month. Every business has different needs and so our rates vary by the job. However, head shots, in studio are $199. On location, packages start at $499. Please contact Christy's team for more information and to get a custom quote. After your portrait session (babies, bellies, families, children), you'll return to the studio 1-2 weeks later to view your images on our large projection screen. Why? Because viewing images in your home can be overwhelming. We found that when given digitals, most clients take them home and put them in their drawer and forget about them. This is not only a waste of money but you feel guilty. Plus, technology changes. We no longer use floppy discs, CD drives are dissapearing and USBs are about to be out of date as well. I don't even know how to get my old photos off floppy discs! But what doesn't go out of date is the printed image. Christy Whitehead Photograhy is a full service studio. I will help you go through your images and narrow down to your favorites. 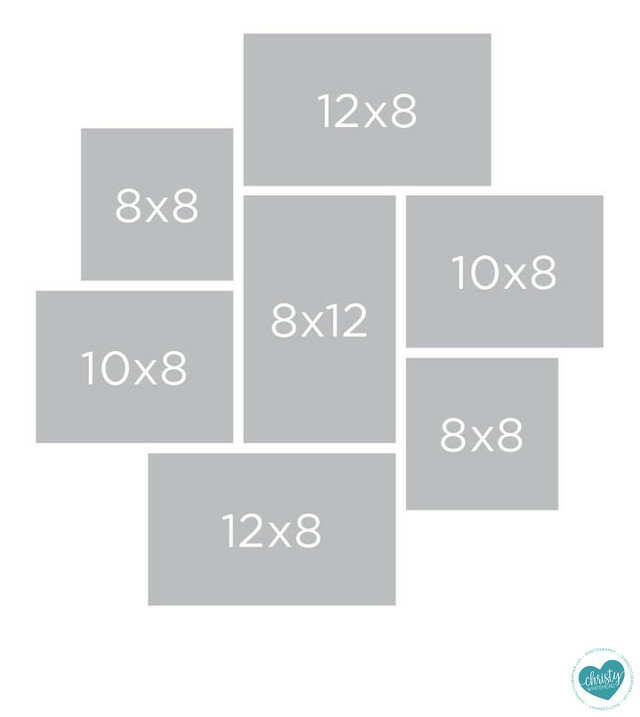 I can project your wall in our studio so you can see YOUR wall with YOUR images and choose the sizes that work best for you. I will help you pick the sizes and textiles (acrylic, metal, canvas, etc) that work for each image and for your space. Our portrait clients typically spend between $500-$2500 on digitals and wall art.